It was a Saturday night and I was starting my close up magic performance at Mellow Mushroom in Franklin, TN, just south of Nashville when I noticed a man wearing an unusual shirt. 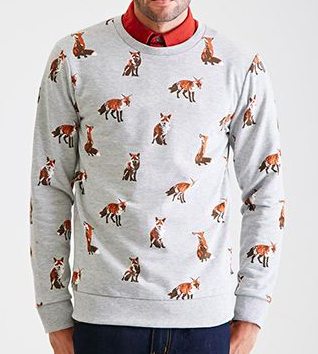 At first all I saw was the sweater, it was a grey long sleeve with little foxes all over it. I’ve never seen anybody wear a top like this one. 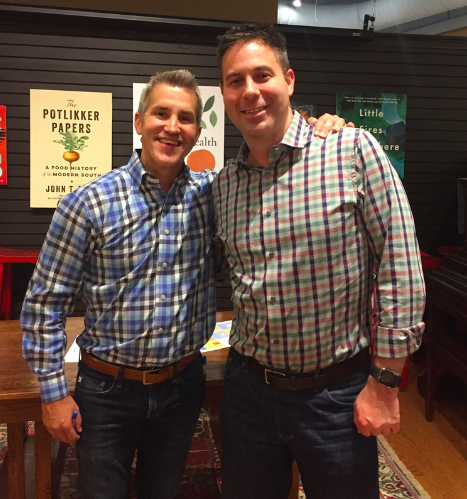 The first time I heard Jon Acuff speak I was impressed at how he is so talented at weaving together humor and motivation. He has written several books about exiting your day job and making your dream job a reality. Since I was a sales professional but wanted to be a professional magician, I was immediately drawn to what Jon had to share. What a rush to perform for Jon Acuff and his family. I admit I was nervous and I don’t usually feel nervous when performing in a restaurant anymore because I’ve done it for so many years. Everything went well and Jon told me a funny story how one time his daughters thought a magician was coming to their house but it ended up being a musician. After I finished the magic I shared with Jon that I’ve read his books for several years and that he really helped me transition to my dream job of being a magician. To top things off the next day I saw that Jon wrote a blog post about me, what a thrill! My only regret is I did not get a photo with Jon in that sweater with foxes all over it. Jon, if I ever run into you again, I hope you will be wearing that sweater because I would like to get a photo, it is a really cool sweater.